You are here: Home / Girlfriend / We Have A Closing Date On The New House! We Have A Closing Date On The New House! Yesterday afternoon, The Hubs sent me a text message that we have a closing date, finally, and will be moved over Mother's Day Weekend! Right after the move, I will be unpacking while I have the energy, and designing websites for my Team Members in my off hours. I love doing this, and have decided to buy one of Lauren's latest Child Themes, Refined, and dress up my website here. Have you been thinking about dressing up your website, too? 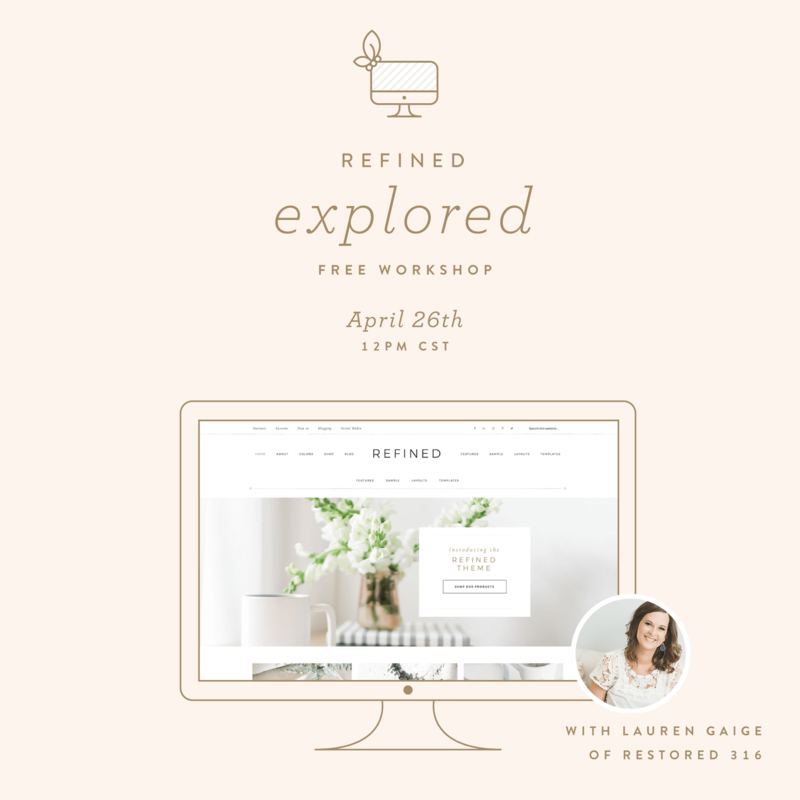 There is a free webinar Lauren is doing April 26th to give you lots more information about what is included, and what YOU can customize with this Theme. I've done a lot of blog work, and even I am sitting here shaking my head at all the dozen+ areas that can be customized to your existing brand. Register today and join me in class!